Mike Moore is about to do the impossible. This powerhouse attorney – who successfully fought Big Tobacco and BP Oil – is taking on the drug companies and distributors responsible for the nation’s major health crisis, the opioid epidemic. He’ll be using the same playbook that he used against those other industries: escalate legal and public pressure until the companies have no choice, but to settle. It can’t happen soon enough. The drug manufacturing and distribution companies make billions, and Mike Moore hopes to be able to remit that to the states that hired him to help recovering addicts. Already, a number of states and dozens of cities/counties have sued companies such as Purdue Pharma, Endo, and Johnson & Johnson’s Janssen Pharmaceuticals, according to Bloomberg Businessweek. “The suits allege that the companies triggered the opioid epidemic by minimizing the addiction and overdose risks of painkillers such as OxyCotin, Percocet, and Duragesic,” reported the Bloomberg Businessweek article. As a result, we have a nation with high rates of addiction, affecting one in five men and one in four women. It seems that everyone knows someone who is an addict, or a recovering addict. It’s affecting everyone at every level of society. And while it’s true that opioid use is down, it’s still five to six times higher than it was in 2000. In the state of New Jersey alone last year, providers wrote 55 opioid prescriptions for every 100 residents in the state. It’s no wonder we have an epidemic. The Controlled Substances Act (CSA), enacted in 1970, was supposed to help protect us. The CSA regulates the manufacture and distribution of substances, like opiates, that have a potential for abuse. In fact, the law is set up to flag any unusual patterns of use. If that occurs, the government is supposed to be notified. Yet, the distributors delivering millions of opiates to Kermit, West Virginia, a town of 400 people, didn’t even raise an eyebrow, according to Mike Moore. That’s plain wrong. The people who have made a fortune on this unfortunate abuse of the public health system must be held accountable. We’re behind Mike Moore all the way in battling opioid addiction. We cannot keep doing “MORE” of what isn’t working. Ultimately, it will play out in the court of public opinion. But when—not if—he wins this case, we’ll have to work to intelligently to distribute the funds so that the people who so desperately need treatment will get it. As a country, we are doing well treating the physical part of addiction. The part that is more difficult, that takes the real work and the time, is behavior modification. That’s our real challenge going forward. Mike Moore’s campaign will play out in the court of public opinion. Share your voice in support of this important fight against opioid abuse. Drug manufacturers and distributors made billions selling opioids to unsuspecting people. Let’s hold these companies accountable, and take that money to help recovering addicts. Specifically, let’s encourage the states to fund behavioral modification programs to provide recovering addicts with the support they need to truly stay sober. Working together toward these common goals, we can do so much to prevent the senseless deaths of so many. 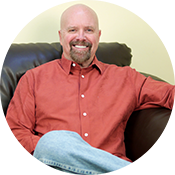 Brian McAlister is the President and CEO of Freedom 365 Virtual Recovery System™ Full Recovery Wellness Center and best-selling author of Full Recovery: The Recovering Person’s Guide to Unleashing Your Inner Power. Sober date: August 2, 1990.